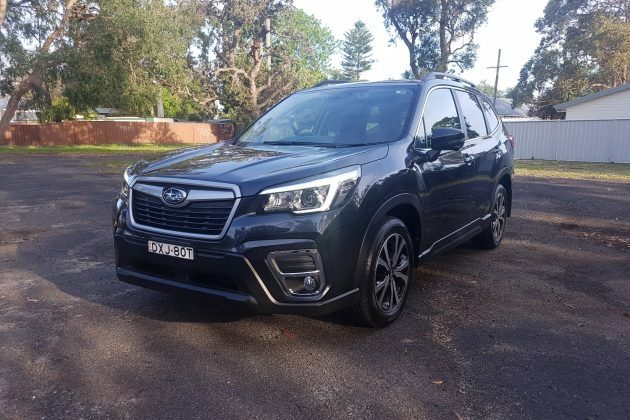 THINGS are not always what they seem in the world of cars, especially SUVs, and the 2019 Subaru Forester 2.5i Premium is no exception to that rule, for although it looks like the car it replaces, it’s not, and the changes are wide ranging. For anyone who’s not checked out a Forester in recent times, the humble SUV is no longer the brick with wheels shaped sports wagon it once was, having moved on to becoming a fully fledged SUV. The new shape and style of the 2019 Forester makes for a very good looking vehicle, but at the same time now puts Subaru into direct competition with some of the biggest guns in the game. It also means that playing with the big kids means greater expectations on the brand from its potential customers, and for the most part, the super-sized Forester delivers the goods. We say for the most part because, well, there are a few things missing, like a manual gearbox, a diesel variant and a turbo charged option of any kind. That said, it would appear no-one buys manuals anymore, so the CVT makes sense in a way. We didn’t super love the way the new transmission shuffled its way through its 7-speed self, but it’s not horrible either; adequate is probably the best description. That transmission is hooked up to a petrol 2.5-litre 4-cylinder boxer engine. It’s a solid power plant, especially when you engage the drive mode functionality and push it into sport mode, and take full advantage of an engine that pushes out 136kW of power and 239Nm of torque. It’s reasonably economical too at a claimed 7.4-litres/100km, a figure we were actually able to achieve in testing, and also comes with an ‘intelligent’ mode, which improves fuel economy, and an X-mode, for enhanced off-road functionality. 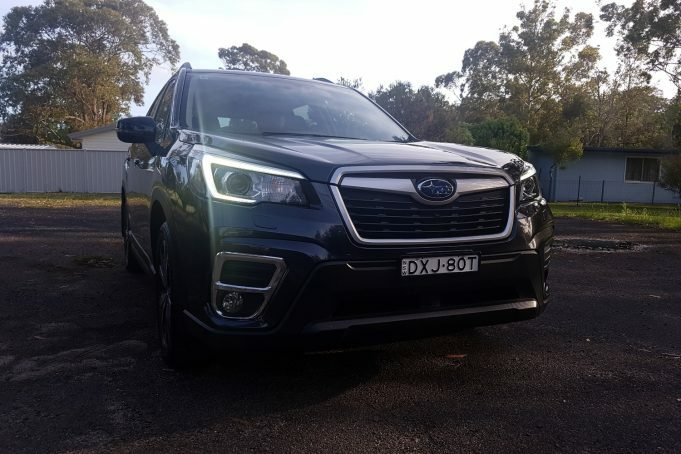 It’s an AWD SUV, and does a remarkably good job on the rough stuff at low speeds, particularly given its not got a low range and is not a ‘serious’ 4WD. Where it suffers though is in the handling department, especially on the tarmac. 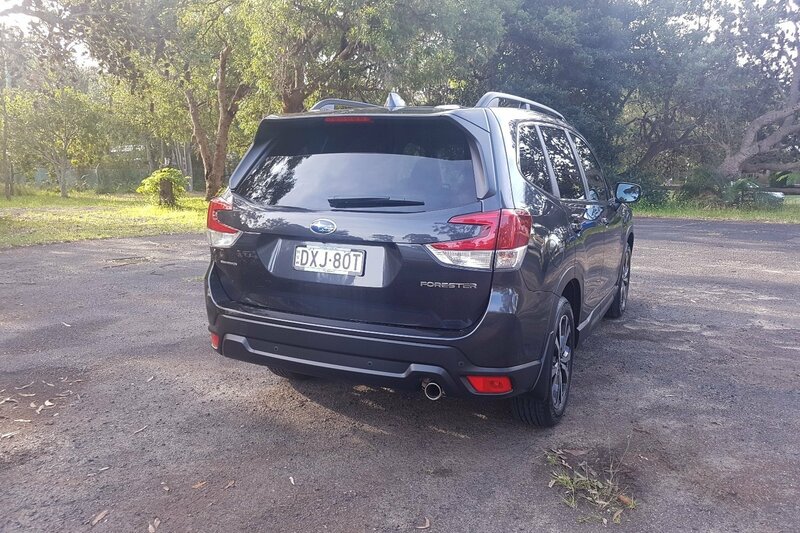 We say that because in windy conditions on the M1 between Sydney and Newcastle, the Forester felt exactly like it did in the old days. It felt like a brick with wheels, being buffeted as we drove our way north. Only now it’s on bigger wheels (18-inch in the case of the Premium) and sits higher on the road, making for a level of floatyness that would spook an uneducated driver. It wasn’t what we expected and while wind was certainly a factor, it’s worth mentioning. 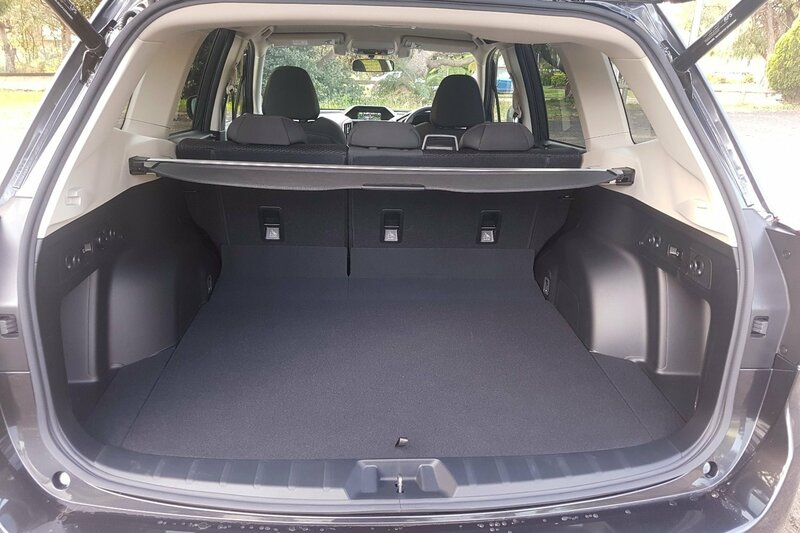 Where the 2019 Subaru Forester excels though is in the technology department, particularly when it comes to safety and convenience. It’s bundled with an 8.0-inch infotainment system, complete with SatNav to start with. It has a very easy to use Bluetooth system, Apple CarPlay, Android Auto, DAB+ digital radio, and believe it or not, a real CD player. There’s also an auxiliary jack, two USB ports, two charging ports in the second row, and three 12v power sockets as well. It has a powered rear tailgate and dual-zone climate control, and comes bundled with the full EyeSight driver assistance system, which includes adaptive cruise control, lane departure and lane sway warnings, and lane keep assist. The latter of these will drive you mental in its own way as it’s ultra sensitive, but you’ll be beyond safe. There’s also lead vehicle alert, pre-collision braking and throttle management, along with brake light alert so you don’t run up someone’s bum. 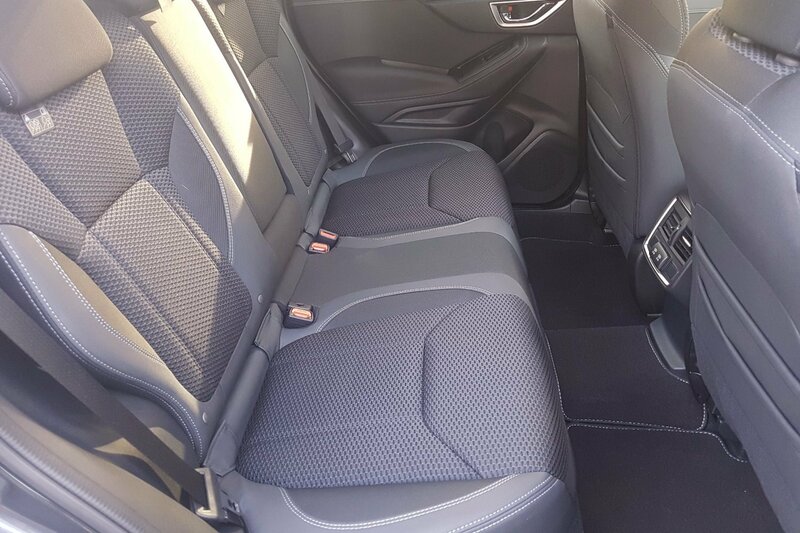 The interior is big and practical too, thanks to such things as large rear doors to access the roomy second row seating. Boot space is an excellent 498-litres and there’s even double map pockets in the back of the front seats. Head and leg room are ample everywhere and probably make it the best in class choice, but if we have to fault one thing about the interior, it’s the fact that the centre console and usual systems feel like someone banged the Olympic torch into the car. No, we don’t mean it’s temperature hot or anything, but the design looks like someone took a sketch of the old original flame and torch, and fashioned the design of that space around it. It feels quite jammed in and you’ll struggle to find a home for a larger phone. 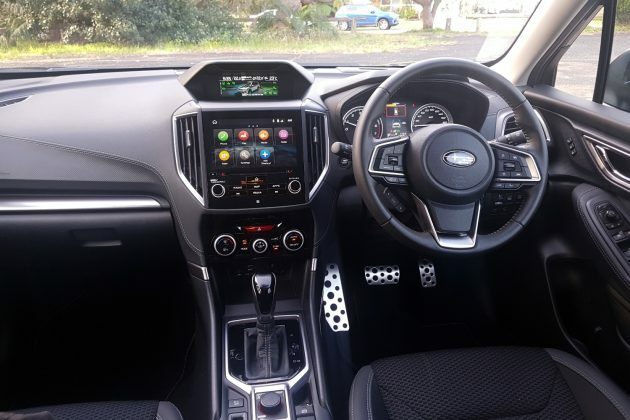 Issues aside, it’s definitely worth considering, as it’s one of the stand out options in a space that pits it directly against the likes of the Mazda CX-5. Subaru now includes a 5-year unlimited kilometre warranty on all new cars too. It hits the road at $43,100 plus on-roads, and comes in a range of colours, including Crystal White Pearl, Ice Silver Metallic, Sepia Bronze Metallic, Crimson Red Pearl, Jasper Green Metallic, Horizon Blue Pearl, Dark Grey Metallic and Crystal Black Silica. Two premium cloth interiors are available; black, and a combination black and platinum. 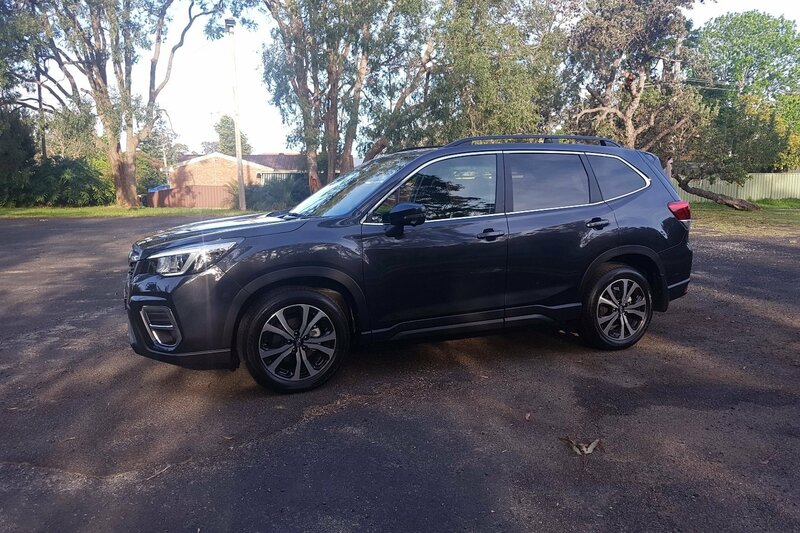 Our test vehicle was provided by Subaru Australia. For more information the 2019 Subaru Forester 2.5i Premium. Pros - loaded with safety tech; very practical; genuinely capable. Cons - mediocre CVT; floaty in windy conditions; interior styling. THE Kia Stinger has scored a controversial split safety rating from independent safety ratings agency ANCAP, with the two base model variants scoring just three stars, while all other models picked up the maximum five star rating.